Where the Maroondah Highway runs between the towns of Healesville and Narbethong, the road is known as the Black Spur. A popular drive through the tree ferns and tall mountain ash forest, the road is the gateway to the snow fields and the Victorian High country. The road is heavily used by tourists, motor cyclists, buses and logging trucks but the narrow, twisty road with hairpin bends is also a blackspot for accidents, a number of which involve fire. 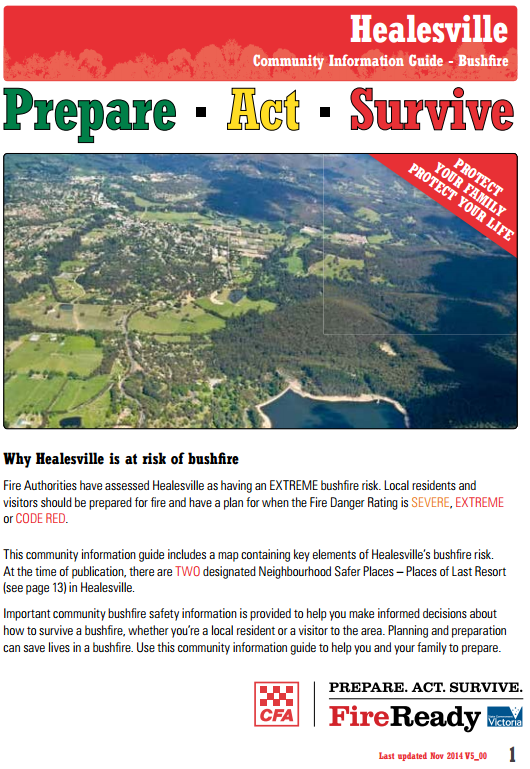 This financial year alone the Healesville brigade has responded to 17 vehicle accidents on the road. 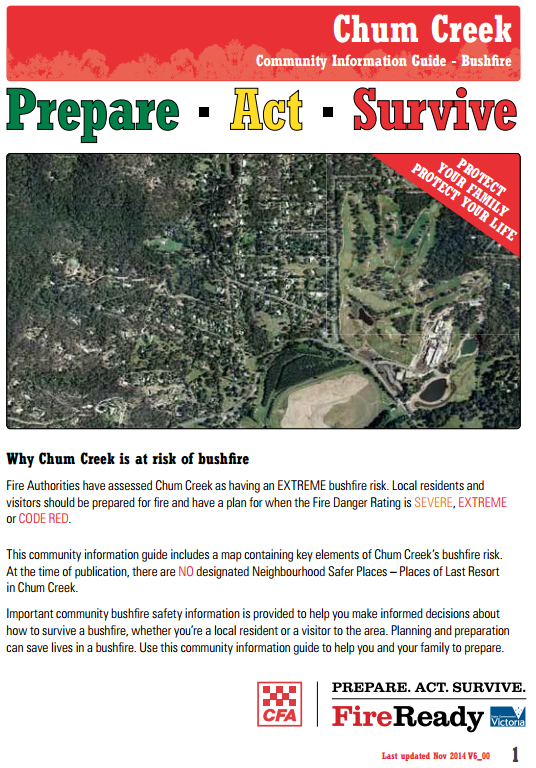 The Black Spur is also in an area rated as an extreme fire risk. The area was burnt out in the 2009 bushfires and is now full of hazardous burnt Mountain Ash. The section of the road in the Healesville brigade area has water available at the base of the spur in Fernshaw or on the Dom Dom Saddle at its peak. An accident involving fire or a washaway can mean a turnaround time for trucks to refill and return to an accident of up to 40 minutes. The brigade considered the heightened risk caused by the scarcity of water and the lengthy trip to refill, travelling up and down the road sometimes a number of times, to be putting their members and the public at an increased risk of being involved in an accident. The brigade considered the installation of a water tank a crucial addition to their capability and protection of the public and their members and approached the Yarra Ranges Council for their support. The Council fully supported the proposal and agreed to supply and maintain a 22,500L concrete tank at their expense. The lengthy process of finding land to site the tank, permission to use it, heritage inspections and Vicroads permits to transport the tank to the site was undertaken by the Yarra Ranges Council. The tank was finally installed in mid May, ready for use before the snow season when the road is at its busiest and for the upcoming fire season. Healesville Captain Graeme Bates said the Yarra Ranges Council had done a great job and thanked them for their support. “Overcoming the shortfall of water at this location means that both brigade members and the public are better protected and less vulnerable when incidents occur”.